The friends, who have enjoyed a decade-long musical partnership so far, possess two distinctly different voices. Together with the fiddle and the pedal harp, they build layer on layer of sound, rich with rhythm, harmony and texture. The result is not so much a duo but a two-person quartet! They are happy to be hard to define. 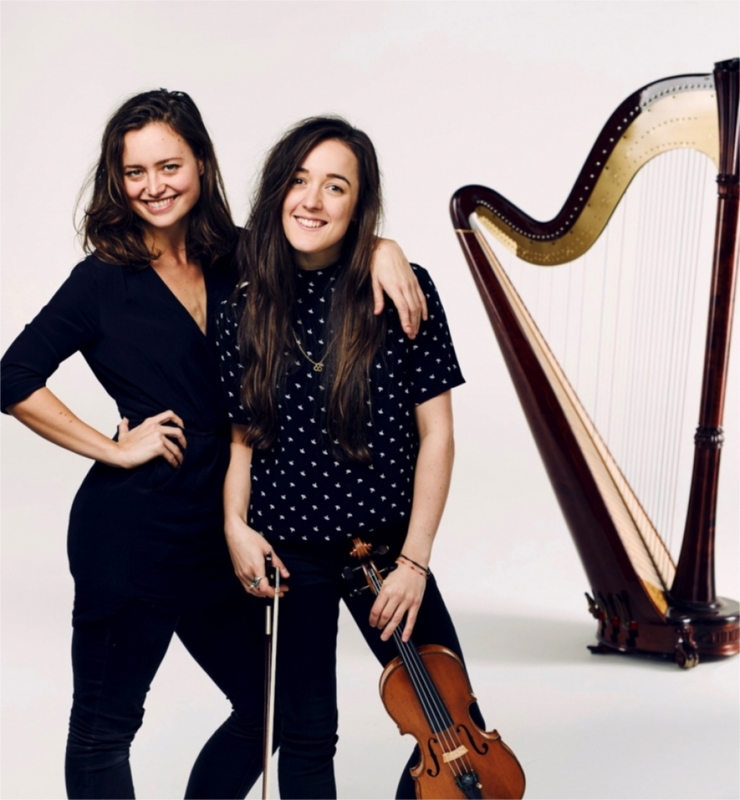 Classically trained, Catriona and Esther display technical ability as well as an adventurous mix of folk, jazz, pop and classical influences blended with the folklore and inspirations of their upbringings. Twelfth Day's latest album, Cracks in the Room, produced by legendary English folk musician Chris Wood and mixed in the USA by Oz Fritz (Tom Waits), is their most honest, raw and exciting work yet. We are delighted to host Twelfth Day as part of a special themed BrewDog and Folk weekend, promoting Scottish folk music and Scotland's successful craft brewer! We'll have a number of BrewDog beers available and goodies to give away! A limited number of combined tickets for both Twelfth Day on Saturday evening and Talisk on Friday evening are available for a special price of £20. Book quickly to avoid missing out! Book your show ticket along with The Green Room gourmet burger plus a premium bottled beer for £22 per person (booking fee may apply). Choose from meat or falafel burger; alternative drinks are available. Must be ordered at least 24 hours in advance. If you have already booked performance tickets and wish to add food to your order, please call the box office on 01946 692422.